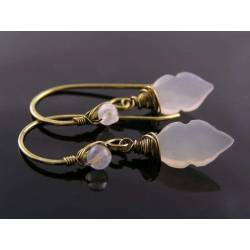 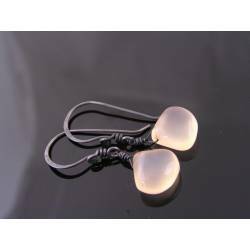 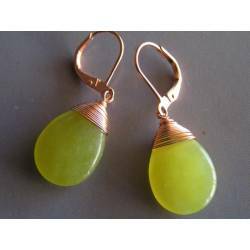 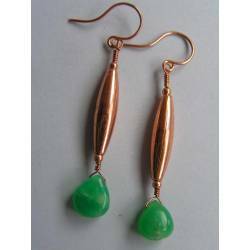 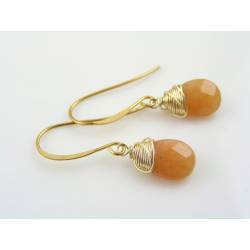 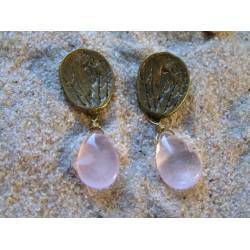 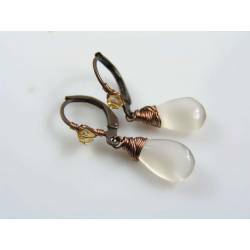 Lovely delicate colours - natural gemstones. 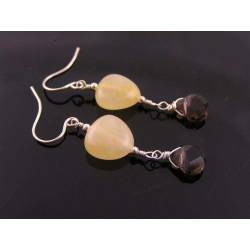 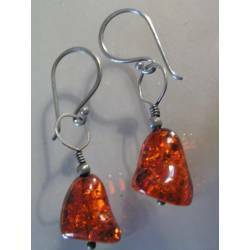 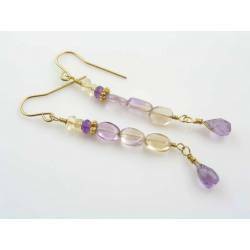 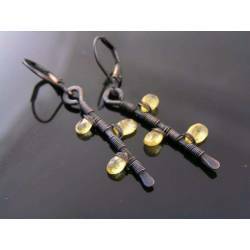 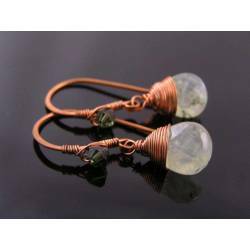 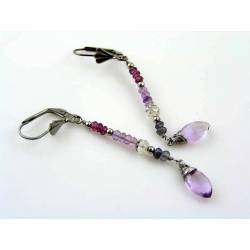 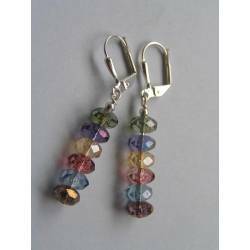 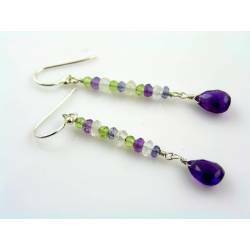 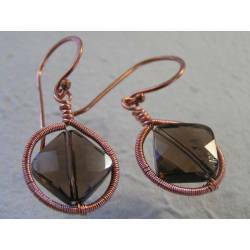 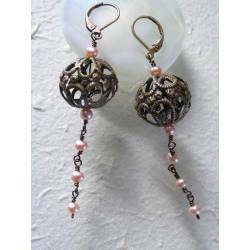 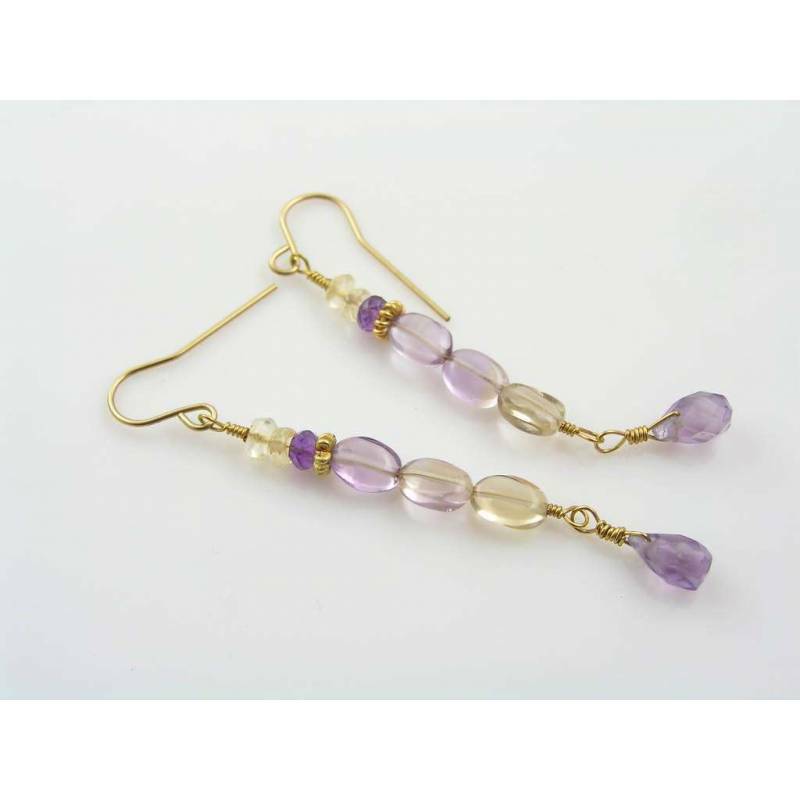 For these linear earrings, I used some lovely ametrine beads. 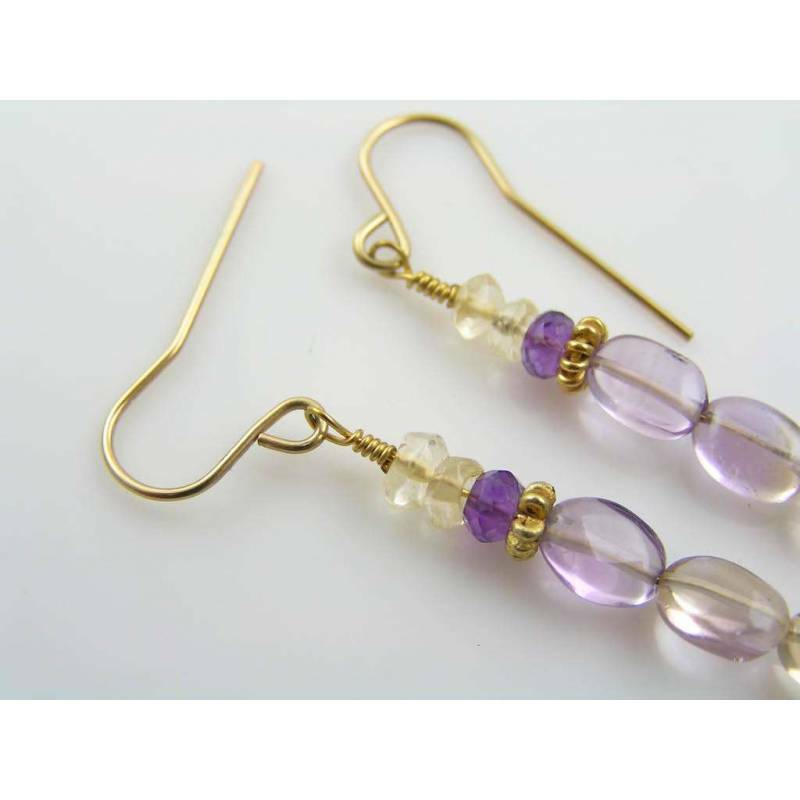 Ametrine is the natural quartz variety where citrine and amethyst are mixed which results in yellow/purple areas or warm purple colours. The earrings start with two citrine and one amethyst rondelle, a golden daisy spacer before the three polished ametrines line up. 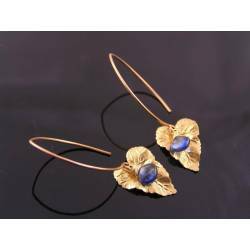 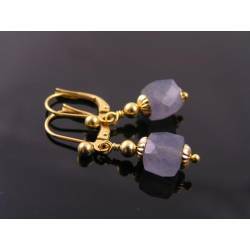 A dangling amethyst drop finishes the gemstone line which is then attached to simple gold filled ear hooks.